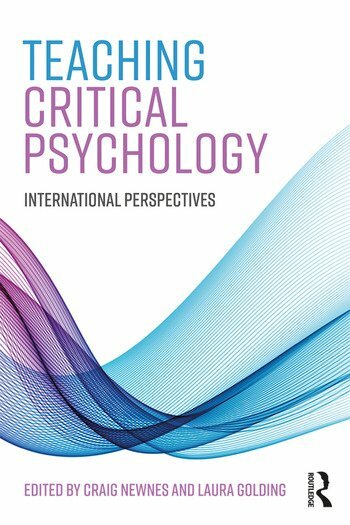 This edited volume may be the 'definitive text' on methods and content in teaching psychology from an international and critical perspective. Chapters from internationally renowned contributors working clinically, educationally and in the community with a range of client groups, outline critical teaching by and for professionals and service recipients. This timely book offers a unique, research-based and philosophically coherent approach to teaching psychology including teaching methods, the lecture content of radical approaches to modern psychology and debates as to whether the aim of teaching is to liberate or control. Themes include the nature of pedagogy, the importance of teaching and learning style, the relevance of context and content and the ways in which traditional teaching forms a part of the disciplinary rather than critical project. Teaching Critical Psychology offers guidance in teaching pupils, students, peers and those on academic programmes at under-graduate and post-graduate level. Craig Newnes is a Consultant Critical Psychologist, editor and author. He has published numerous works and is Editor of The Journal of Critical Psychology, Counselling and Psychotherapy. For 19 years he was the Editor of Clinical Psychology Forum, the in-house practice journal of the Division of Clinical Psychology of The British Psychological Society and Director of Psychological Therapies for Shropshire’s Community and Mental Health Services (NHS) Trust. Laura Golding is Programme Director of the University of Liverpool's Doctorate in Clinical Psychology and chair of the British Psychological Society’s Division of Clinical Psychology Conference Committee. Much of her career has been spent working in the National Health Service (NHS) in the North West of England with adults with intellectual disabilities.